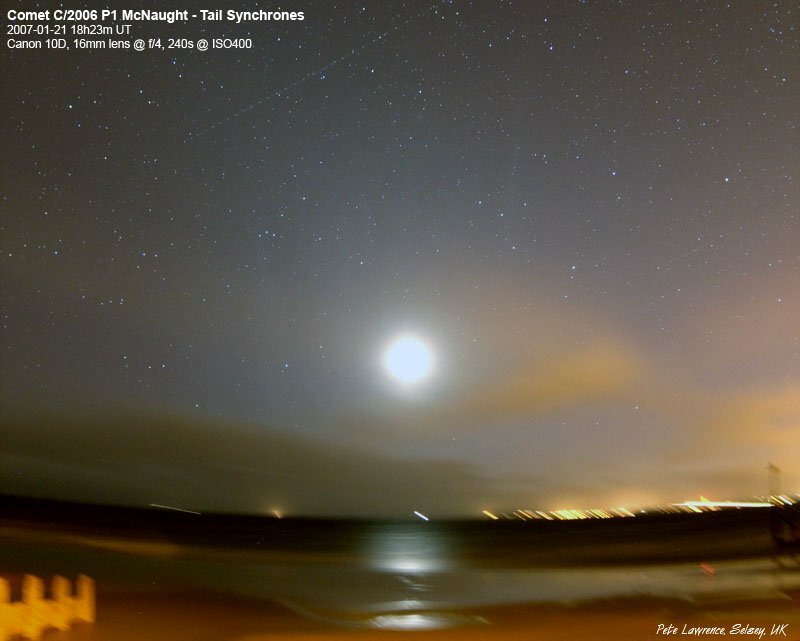 The synchrones have faded significantly to the unaided eye, but you can still see them even with a bright cresent Moon in the comet's tail. 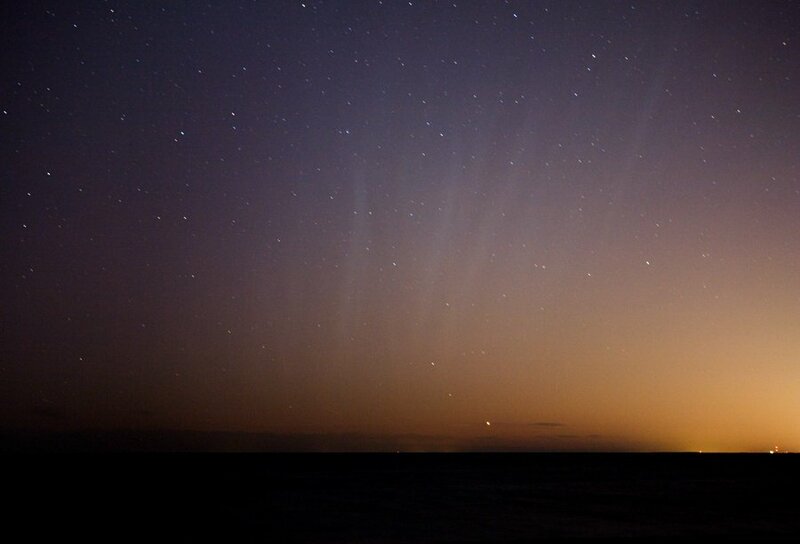 McNaught hangs on in the northern hemisphere! The Moon is now coming into view causing problems with its light. However, a long exposure, stretched to reveal faintness, reveals the ghostly end of McNaught's tail still faintly visible behind the Moon. I just found the famous drawing of the tail of the de Cheseaux's Comet in 1744: It looks surprisingly similar to the picture I took on 1/20/07: Of course in my pictures I've got the Moon and Venus too. 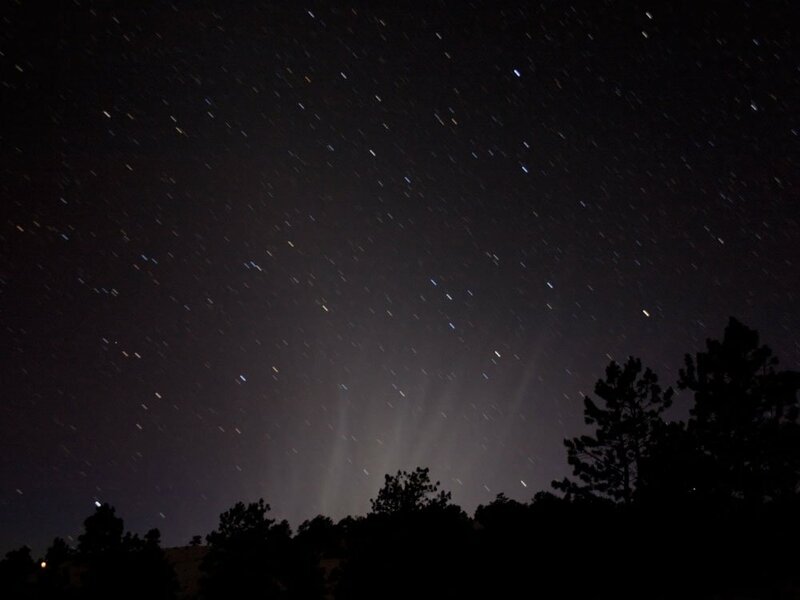 The comet's tail looked as the crown of the Moon. Tonight (1/22/07) I tried to see the comet's tail again, but I have seen it no more. 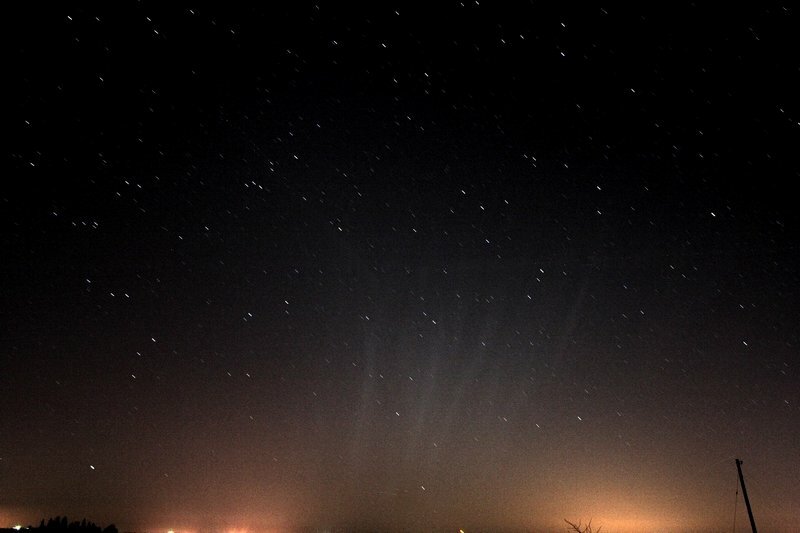 I heard about additional tail plumes or synchrones in Comet McNaught becoming visible for northern hemisphere viewers after dusk so I went out hoping to see them for myself. 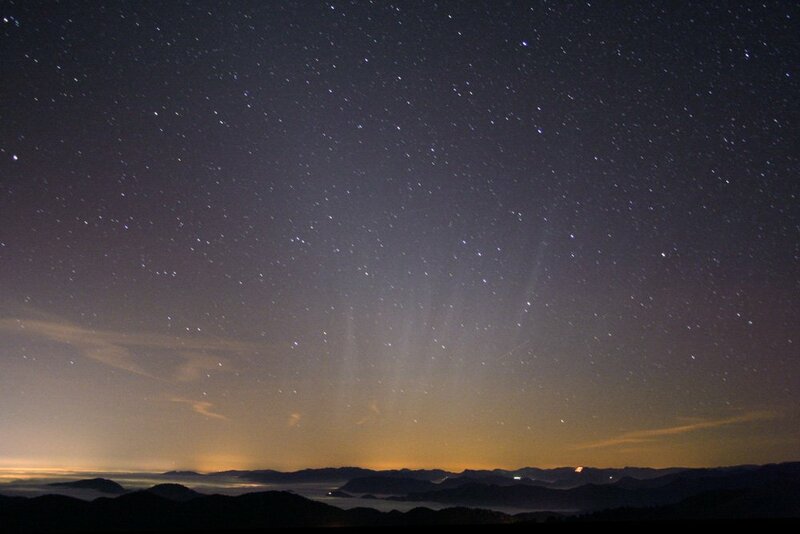 Despite very clear skies, the streamers were faint and mingled with the zodiacal light. 10x50 binoculars were a big help however and made them so much easier to see. I counted six in all. 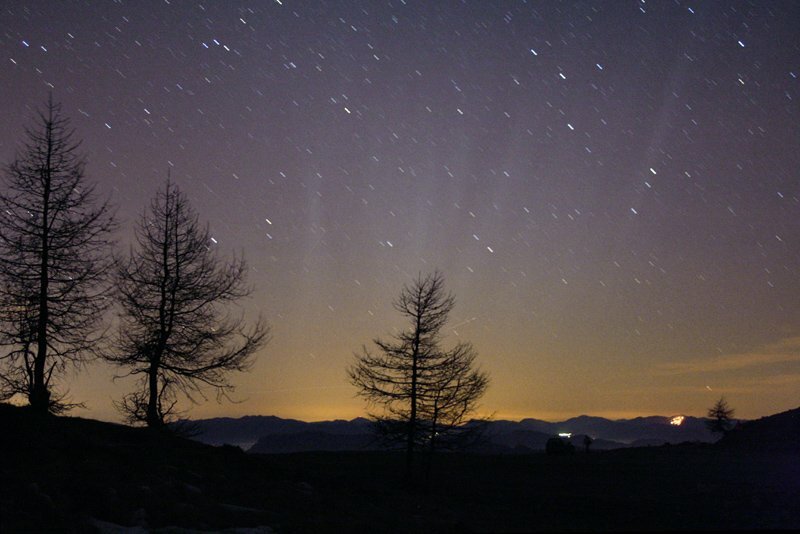 Knowing how far below the horizon the comet was at the time, I was truly impressed with the vast extent with which McNaught has spread its dust within the inner solar system. Enif in Pegasus is at far right. The photo was taken at 7 p.m. ( approx. 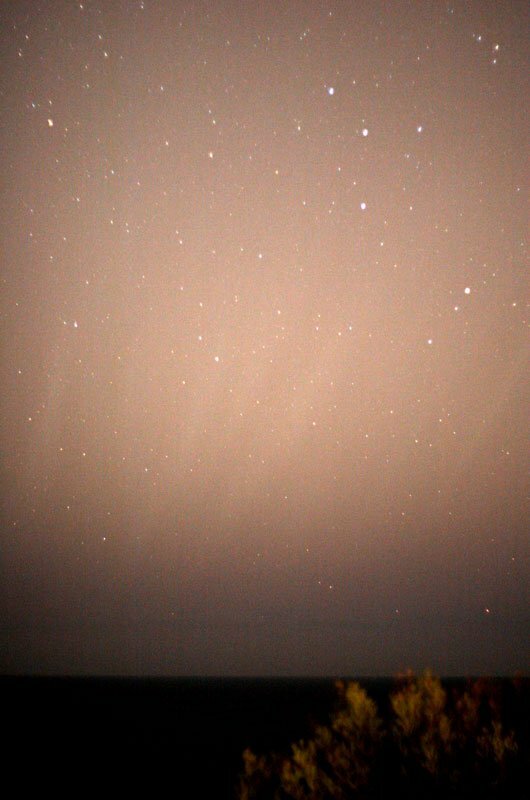 two hours after sunset) with a 30 second exposure, 35mm lens and ISO 800. 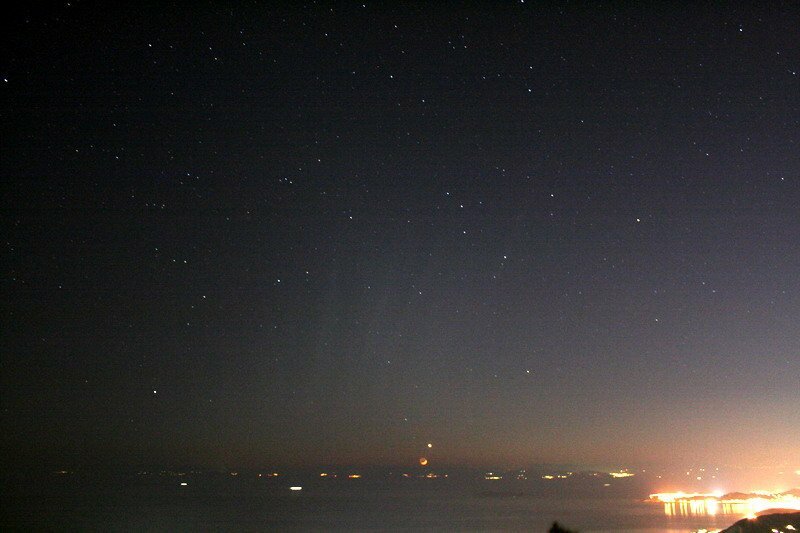 Another attempt at capturing the tail of McNaught but this time from 10 thousand feet. 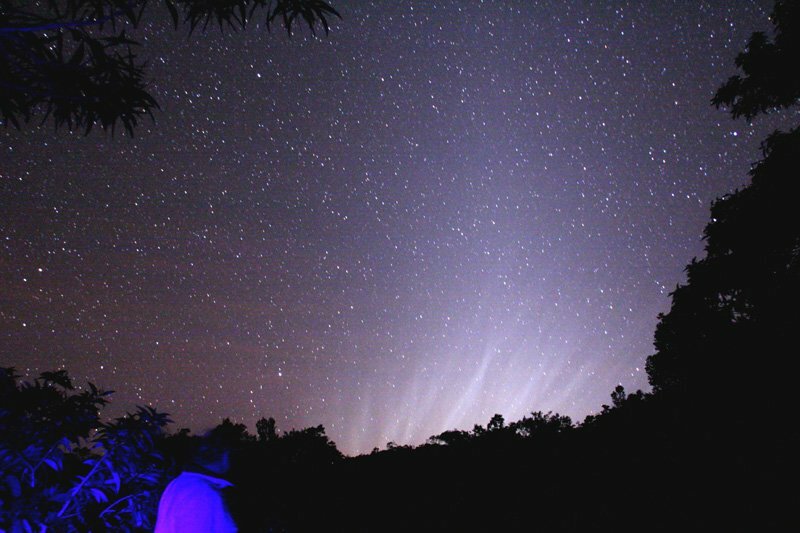 the tail was quite visible in the Zodiacal Light and a group of good images were acquired and another image with a meteor--the 2nd in 2 nights. I love this photo, just a bit fantastic but ever so real. 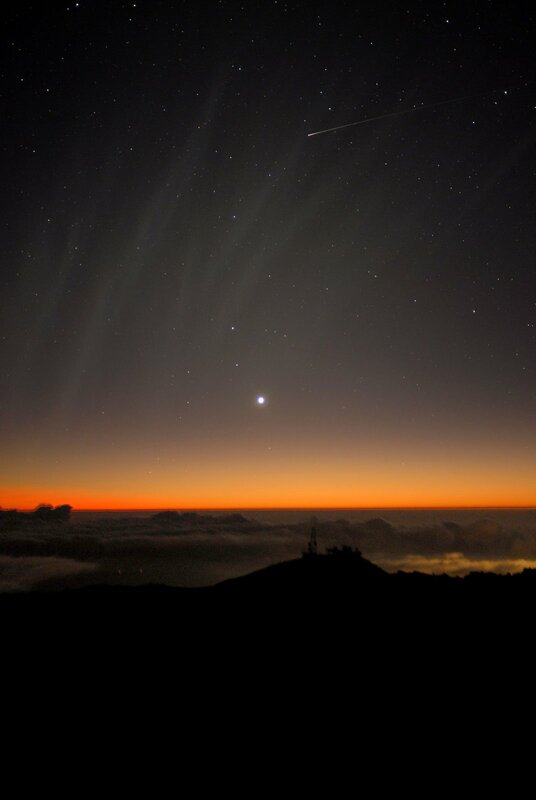 This photograph shows the synchrons of Comet MacNaught's dust tail as seen from the 7,000 foot level of Mauna Loa in Hawaii. Photo details: Canon 20D camera, 17mm lens, ISO 1600, 46 sec expsore at f/3.5. 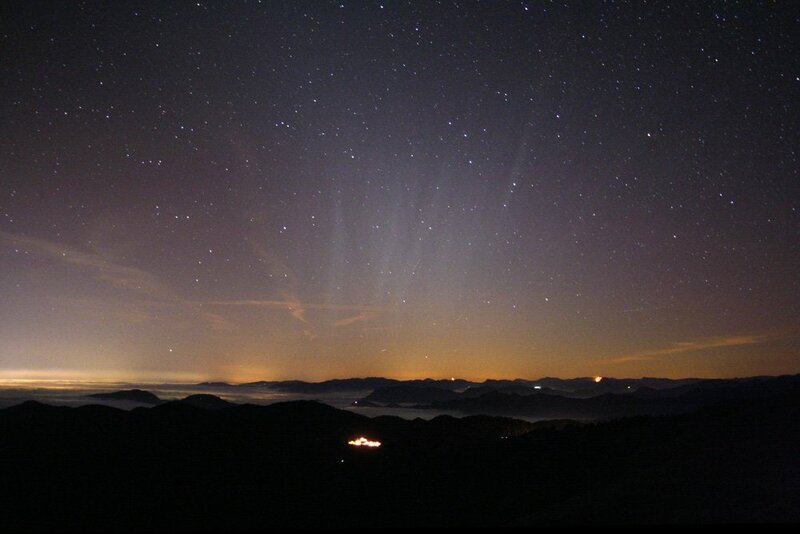 3 beams were easily visible with naked eye, zodiacal light was also visible up to 60�. 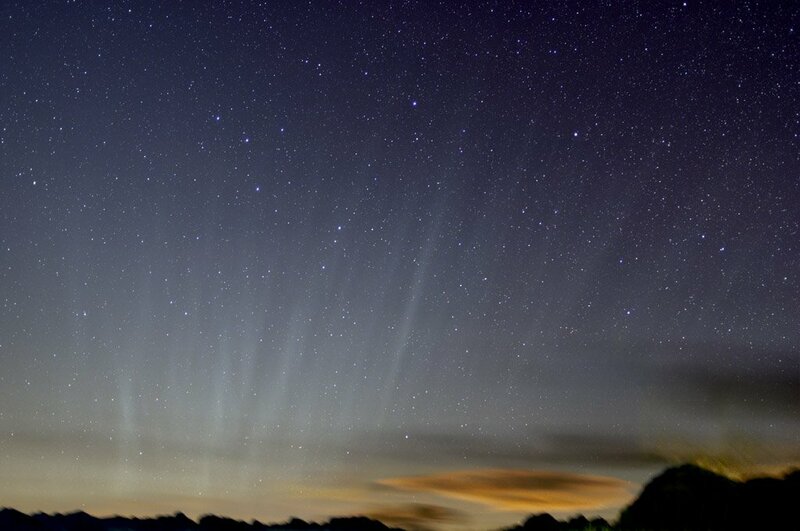 Words can't adequately describe what was visible in the western sky after sunset tonight. 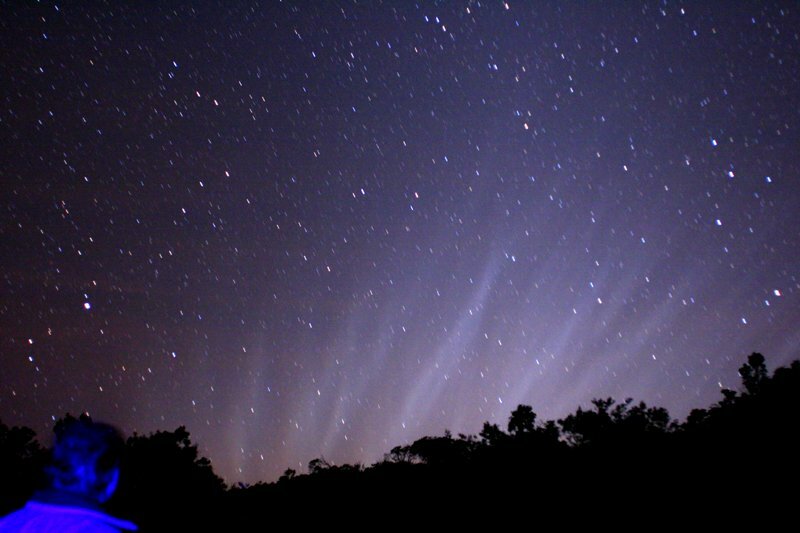 The dusty wisps of Comet McNaught's tail filled the sky like auroral streamers, easily visible to the unaided eye. I said goodbye to the comet last Saturday after seeing it with the unaided eye in the daytime. 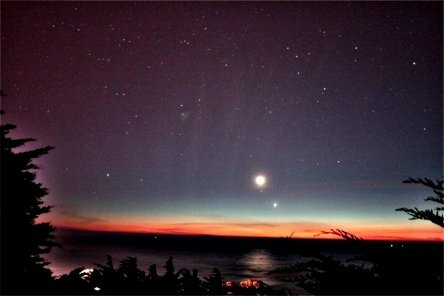 Tonight, I feel like I was visited by the ghost the comet! I am still speechless. Photo details: 30 second guided exposure with a Fuji Finepix S2 digital camera set at ISO 800. I used a 35mm wide angle lens at f/3.3. Time of the photo was 6:37:35 pm MST. 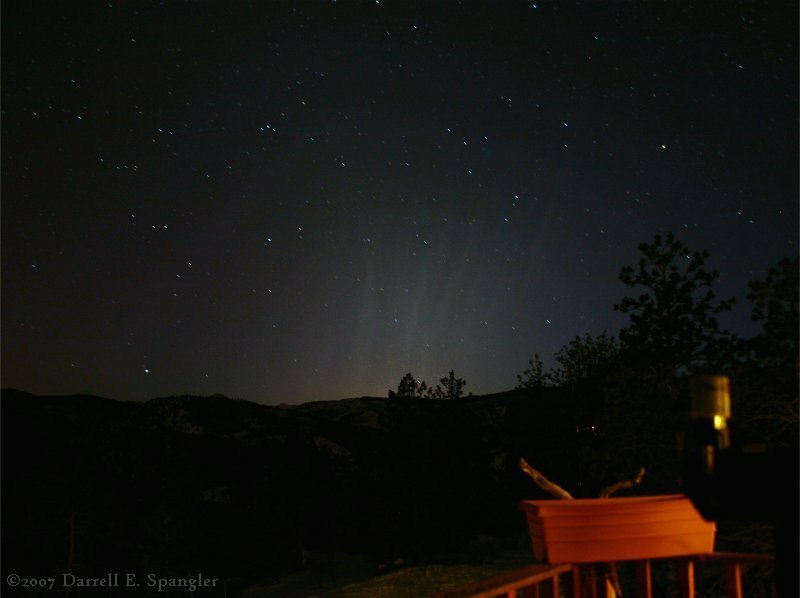 About an hour after sunset, the tail of Comet McNaught became clearly visible over Rocky Mountain National Park. An awesome sight indeed! Canon EOS 300D, 15-30sec, f/1.8-f/4, 400-1600 ISO. 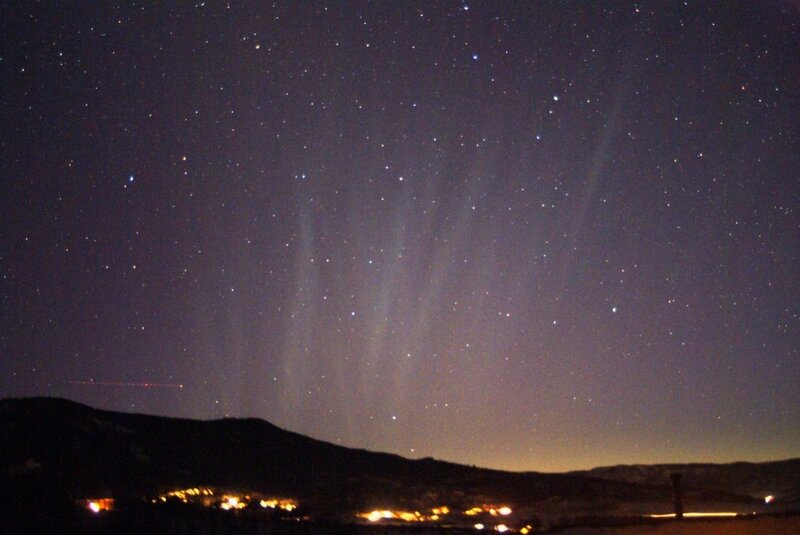 These images show multiple synchronic bands from Comet McNaught!! Amazing! 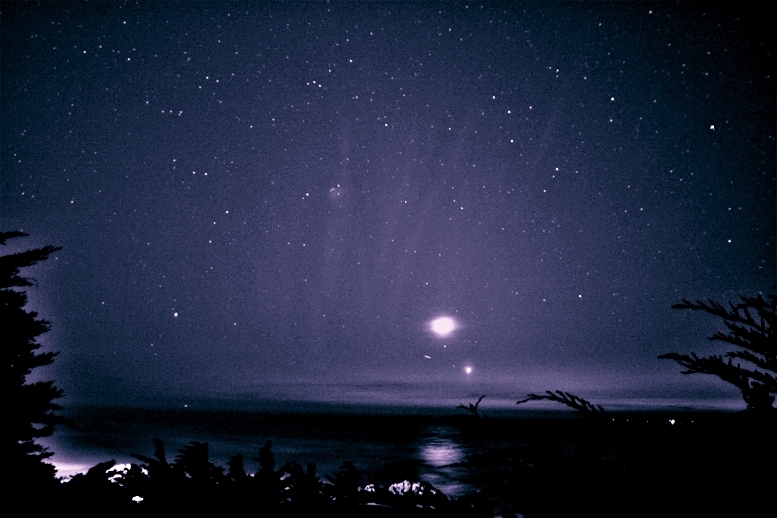 These were taken from 42�N overlooking the Atlantic Ocean. 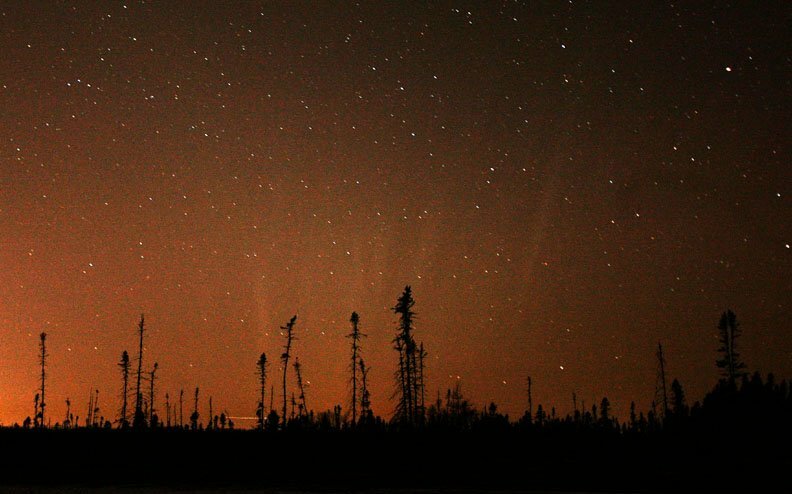 They were faintly visible without optical aid and looked like a very faint aurora. 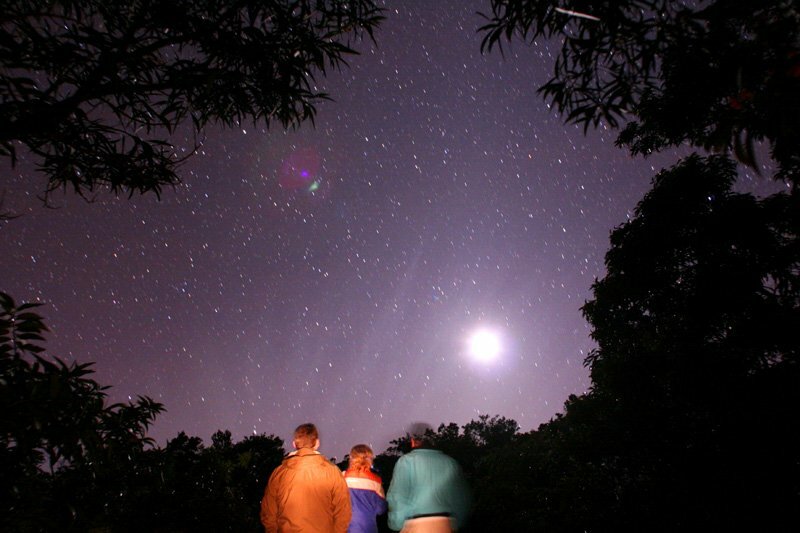 Photo details: Canon 5D, 24-70mm f/2.8L lens, ISO 500 or 800, 30 sec or 60 sec exposure. 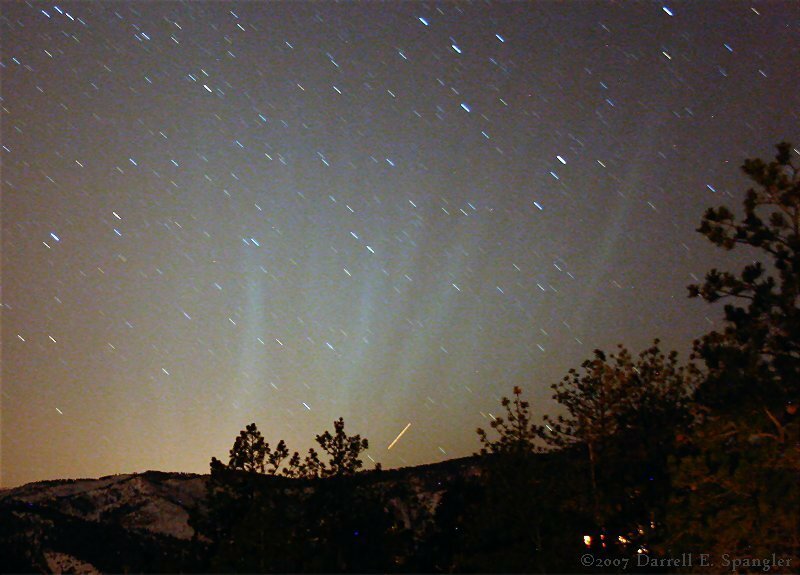 Note the faint striae at extreme right, making this the longest dust tail ever. Photo details: Fuji S3 @ 800ISO f=35mm f/1.4 @ f/2 stack of 4 exposures 2 minutes each field of the image 22 x 33 degrees. Photo taken at Pt. Vicente, California (inside Los Angeles megalopolis). 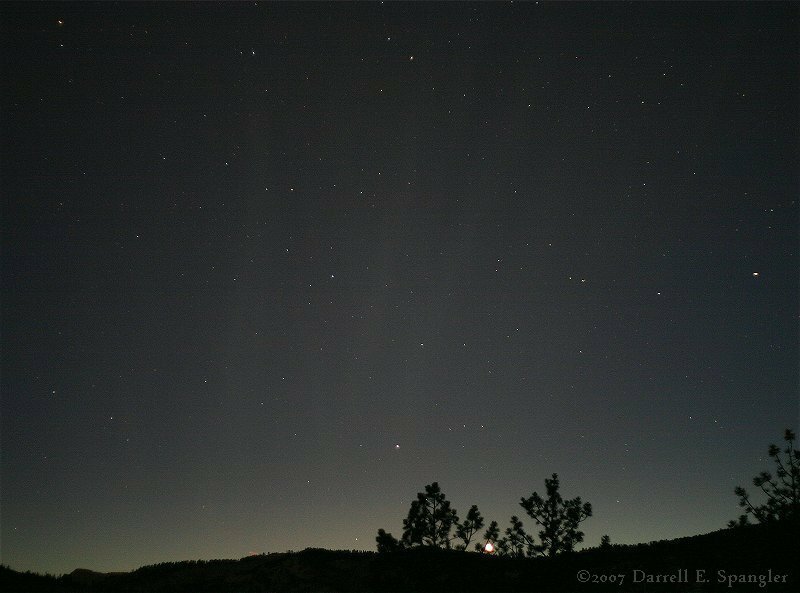 With the naked eye, the tail looked like the zodiacal light - no streamers, just a broad band about 15 degrees high and maybe 25 wide. I took this and other pictures and could see the bands immediately after the camera finished processing them in the post viewer. Amazing! Synchronic bands and very reminiscent of Comet West thirty years ago. This comet is comparable and after this observation is probably No. 4 on my lifetime cometary spectacle list after Hale-Bopp, West and Bennett. 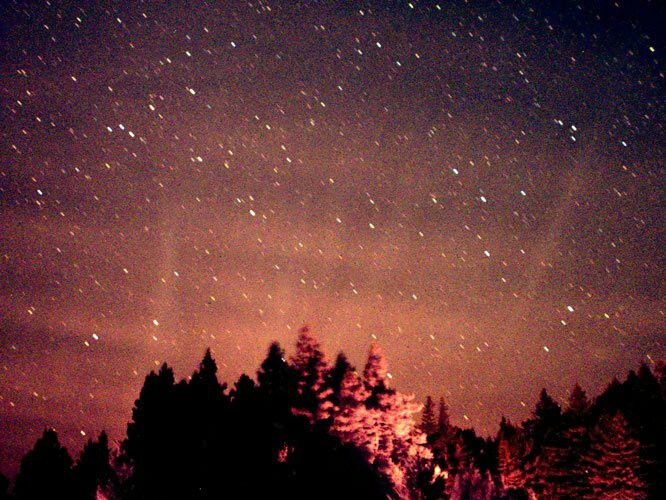 Photo details: 708PM PST, 50mm lens at f/1.8, 10 seconds, ISO 800, Canon 20D. Note the Water Jar in Aquarius at top. 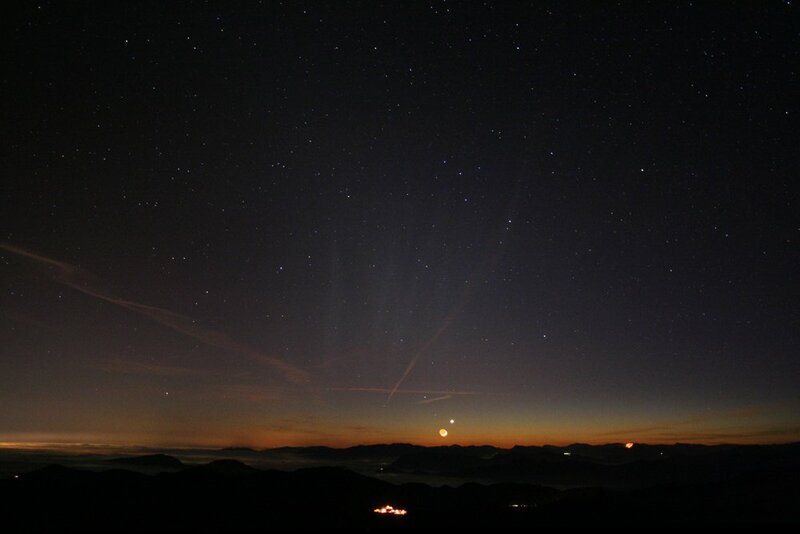 The comet tail extended to an altitude of 30° 90 minutes after sunset. 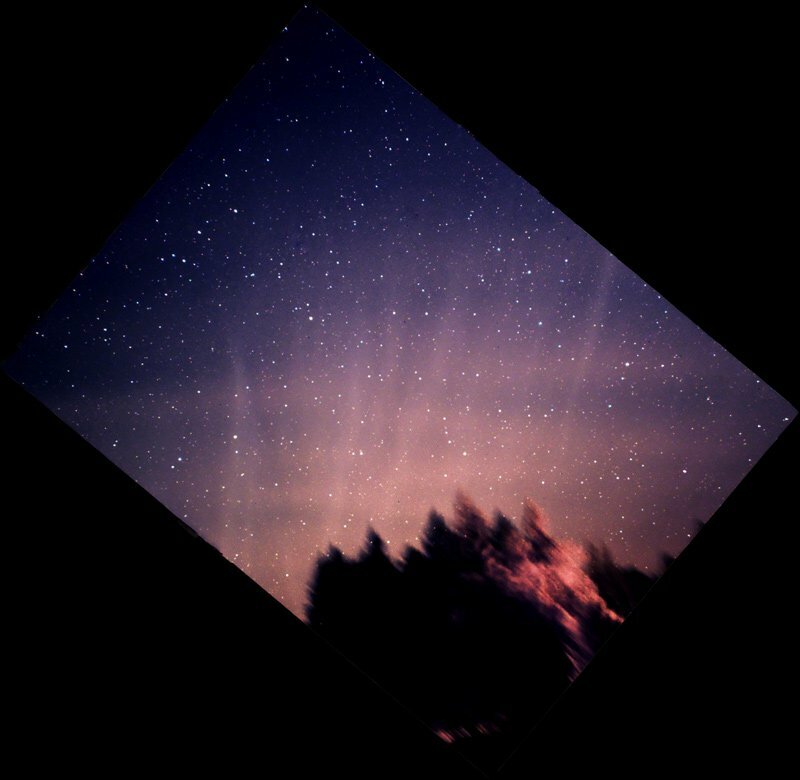 Visually, it appeared as a colorless aurora. 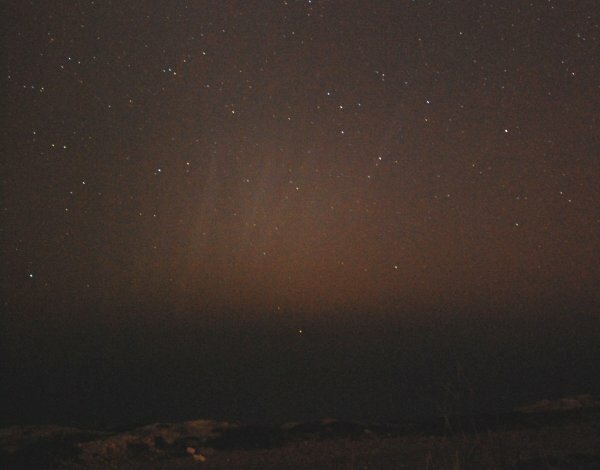 Photo details: 120s exposure, Canon 300D, 18mm FL, f/3.5, ISO 400.
more images: from Douglas Slauson of Norway, Iowa (Jan. 19); from Elias Chasiotis on Panion mountain outside of Athens, Greece (Jan. 20); from Tony Tanti of Dingli, Malta (Jan. 20).